All sets, The long time tennis future star producers, Cebuana Lhuillier started junior series Age Group Tennis Championship 2017 Isulan, Sultan Kudarat leg Oct. 27-30,2017. 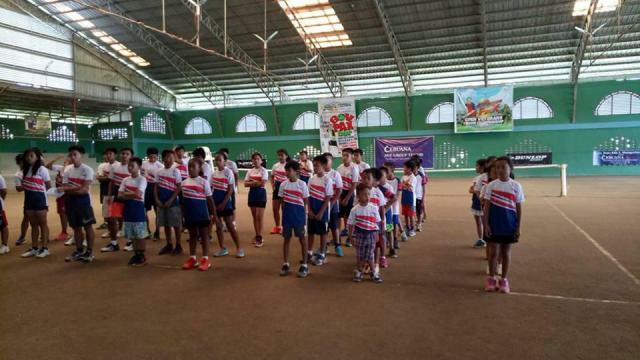 The ceremonies has been successful, 40 young future star tennis players are attended. Prepared by Mario Craiz the official tournament director of Cebuana Lhullier Age group tennis Mindanao Leg, with the official ball by Dunlop. Courtesy Photo: Facebook/JunTabs Tabura | Cebuana Lhuillier Age Group Tennis Championship 2017 Isulan, Sultan Kudarat Leg Oct. 27-30,2017. Few, top seed future stars 16 and 18 under respective categories has been spotted, The Mindanao rising stars Janus Ringia of Koronadal City, Klyde Lagarde pride of Gen. Santos City, Carlyn Bless “bebang” Guarde and Christian Lawrence Joven humble tennister’s of Isulan, Sultan Kudarat, John Steeven Sonsona pride of Lanao Del Sur, Jazzelle Madis patience tennis star of Mlang North Cotabato. Many are respective visitors came from other Mindanao regions witnessed the event of their respective delegates. This are Mlang North Cotabato, Pikit North Cotabato, Digos Davao Del Sur, Lanao Del sur, Polomolok South, Cotabato, Glan Sarangani Prov and General Santos City. Who will win the crown? Result will unveil soon.